Instead of manual or mechanical digging methods, hydro excavation uses water to break up soil, which virtually eliminates any risk of underground utility damage. 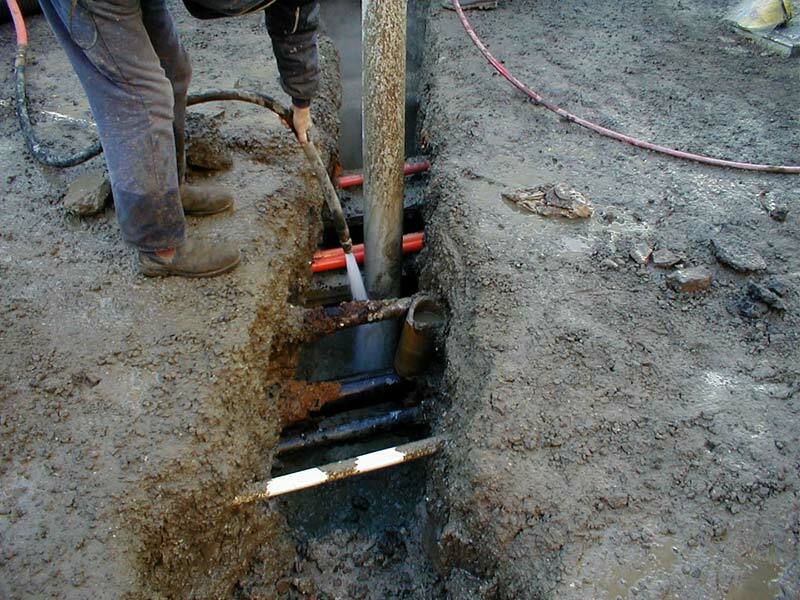 The hydro excavation process results in safe, fast, precise excavations that require less backfill, labor, restoration, and has less environmental impact than traditional excavation techniques. Excavating or exposing underground utilities using hydro excavation is called potholing or daylighting. Since hydro excavation is a non-mechanical, non-destructive process, it enables underground utilities to be exposed without the risks inherit in traditional manual or mechanical excavation methods. Potholing is also a time and cost saving digging method for the installation of signs, telephone poles, fences and the like. 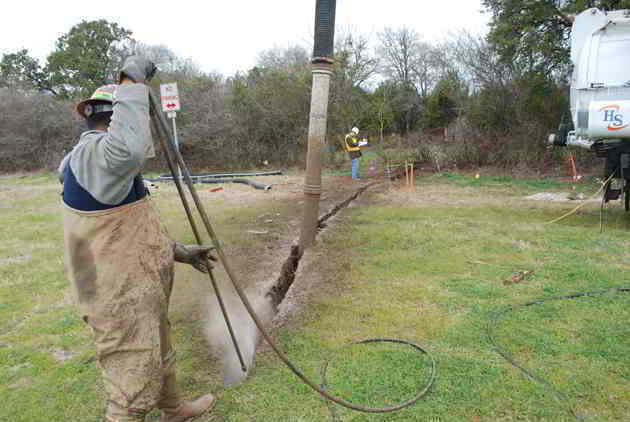 Digging narrow trenches for installing pipes, cables or other in-ground utilities is called slot trenching. Unlike traditional slot trenchers, which can cause serious and costly damage, hydro excavation provides a non-destructive and efficient slot trenching method even on frozen surfaces. Hydro excavation makes it easy and safe to install sprinkler systems, locate underground utilities, and perform similar installations without the risk of damaging previously installed systems or lines. Since hydro excavation uses water to break up ground and vacuum up debris, it is the safest and most efficient method of exposing underground utilities. It eliminates the risk of damaging buried utilities. Using hydro excavation to expose utilities, which is called potholing or daylighting, ensures that the surrounding material is undisturbed. With hydro excavation’s precision, it is ideal for piling hole excavation. 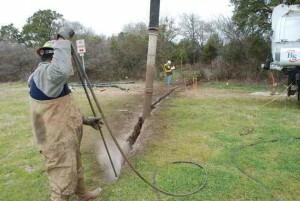 Underground utilities that may be uncovered during excavation are not harmed in contrast to the high risk of damage that exists with using manual digging methods. When fiber optic cables, telephone lines, water mains or other utility lines need to be repaired or excavation needs to be done in tight spaces or congested, hydro excavation equipment can be located away from the actual excavation site. This minimizes the impact and restoration requirements to the actual site, and eliminates traffic congestion and inconvenience. If you come all the way down here, you probably really like what you see. To save you all the troubles finding where to contact us, we have a solution for that too. Just click the button below. Designed By Omega Technology Solutions. © 2017 Southeast Services Of The Treasure Coast, INC.. All rights reserved.